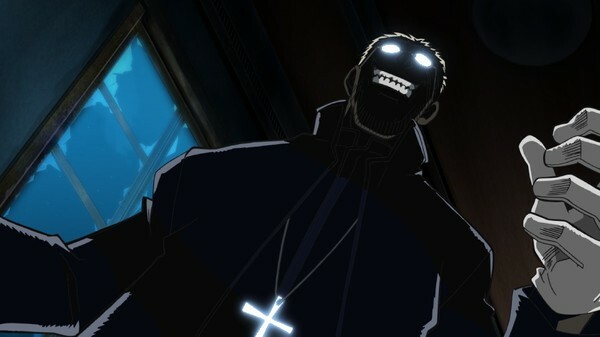 Hellsing Ultimate Collection 1 contains the firs four OVAs based on the hit horror manga from Dark Horse Comics. This series is about an organization hell bent on killing vampires called the "Hellsing Organization" lead by Sir Integra Hellsing being called a "sir" she is actually female). Something really dark is going on when vampire and ghoul attacks are happening a lot more than usual making her very suspicious about the whole situation. Turns out the Nazis are back in town and they want to take over the world with waves of vampires, ghouls, and other kinds of creepy creatures. How on Earth are we going to fight these creatures of the night? With fighting fire with fire that is. 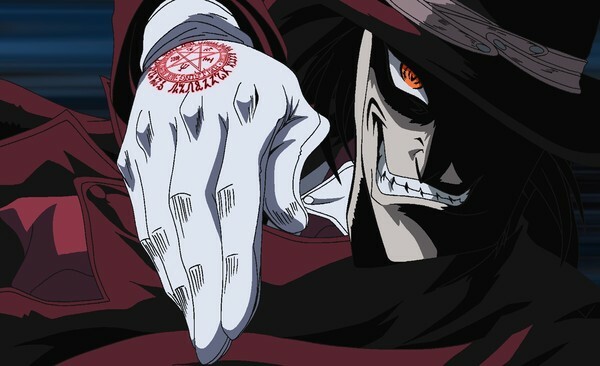 Enter Alucard, a vampire that hunts down other vampires with the help of his partner Seras Victoria, an ex-police officer who was rescued by Alucard right before she was about to get raped and eaten (or eaten then raped) by ghouls. Together they hunt down the Nazis and blow any one they find to smithereens with some really powerful guns with bullets that can plow through waves of enemies with one pull of the trigger. A shorter way to describe the insanity is that this series is like Nosferatu (1922) crossbred with the Deathwish (1974) movie series. (Click "Read More" to see the rest of the review). with a ton of gore and a ton of foul language so if you offend easy I would strongly recommend skipping this one. The English dub is very cheesy but it works well with the characters and action. Artwork is phenomenal with a ton of detail in the characters and locations and they also put a ton of detail in the settings with very beautiful use of light and darkness adding a really nice atmosphere. 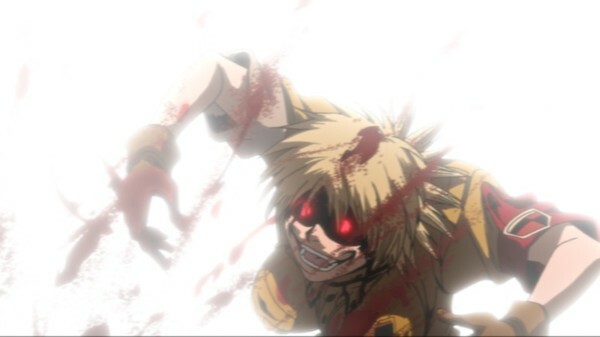 The animation is really excellent, especially in the battle scenes where the animation really stands out. The soundtrack is OK but nothing all that memorable but it goes well with the show. The special features in this set are very excellent with enough content to fill up an entire afternoon. There are a bunch of interviews with the cast and crew that average thirty-minutes per interview, convention footage of the Genon booth and a panel from Anime Con 2007 although all the screaming girls in the panel segment did bother me, Japanese and English trailers and promotional videos, behind the scenes, the typical text-less opening and closing credit sequences that you see in a ton of anime releases, a bizarre karaoke video where you get to sing the bad guys epic speech, and commentary on each episode detailing on what it was like working on the show. Overall this is the ultimate package for fans of the series (until they release a set with all ten episodes along with all the special features from previous sets) and a good gateway for anime fans who are looking to get away from shonen anime. I highly recommend this and if you disagree I will bite you and turn you into one of my many mondo ghouls. The following picture depicts me biting you if you don't buy it... It also oddly depicts me as a woman.